I love to create stuff. Sometimes I create to solve a problem or fill a need. Sometimes I just create. Today…. I let my creativity lead me. My daughter found me these great jars with colorful metal lids. The glass is thick and has an old look to it. As soon as I saw them, I knew I could make something fun out of them with a little vinyl. Here is one I completed today to add to my Esty store. 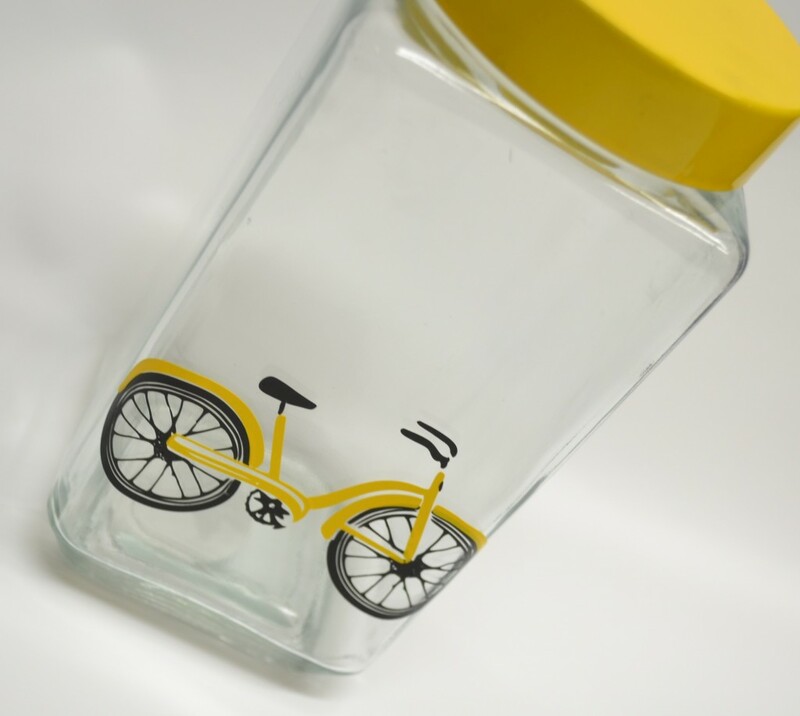 The bike is my design which… of course …I created in Inkscape.